It’s an exciting time to be associated with South Shields Football Club. The club is going from strength to strength, on and off the field. As the team is doing so well, crowds are increasing game by game, giving you or your company a great platform to be associated with our success. If it’s ground advertising that you are interested in, we have numerous opportunities to advertise your brand or service, with pitch side boards, crowd facing boards, or even one of our various stands at Mariners Park. We have sponsorship packages available to suit all budgets. 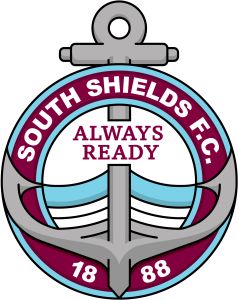 We have many different teams under the banner of South Shields FC, and we pride ourselves on being a community club. We have over 20 youth teams and two ladies teams. We also have an Academy for 16 to 19-year-olds in conjunction with Sunderland College, with the players coached by our first-team management team of Graham Fenton and Lee Picton. As well as this, there is an Academy for 11-16-year-olds in partnership with Mortimer Community College, led by Jamie Williams and Wess Brown. A number of packages are available throughout the season. You are able to sponsor a match at Mariners Park, or sponsor the Man of the Match award. There is also a hospitality package where a child can become a mascot for a game, which makes a great birthday present. If you would like to discuss the opportunities with us, please contact us by sending an email to david.mitchell@southshieldsfc.co.uk or getting in touch via telephone on 0191 454 7800.